Long before mass-produced candy, people satisfied their sweet tooth with sweet, sticky honey. Of course, obtaining honey in those days was not simply a matter of purchasing a jar at a local health food store; honey had to be located and, whether wild or domestic, it had to be harvested with great care. That is why honey came to be highly prized, and for other reasons, too – people treasured honey for its unprecedented health benefits that made the risks involved in obtaining it well worth it. So today I share with you nine health benefits of honey that may surprise you. 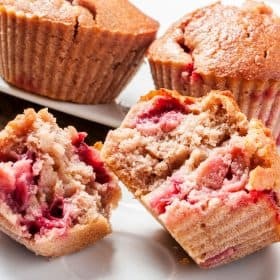 This is one sweet treat that’s good for your bones and whole body! Honey is not produced in a factory or with industrial machinery. In fact, there is no way to replicate the work of the honeybee, which is an intricate and remarkable process. Honeybees gather flower nectar with tireless effort – it takes about 60,000 bees and two million flowers to obtain enough nectar for one pound of honey. Bees store this nectar in a special stomach, where it mixes with enzymes before the bee regurgitates it into the mouth of another bee. They pass the nectar along in this way until it’s digested to the point that it can be used to feed the bee larvae in the hive. The partially digested nectar is then regurgitated into the chambers of the hive’s honeycombs. The bees then fan the nectar with their wings to evaporate some of the moisture and thicken it, and then they seal it with beeswax. Beekeepers must remove this wax seal to release and gather the honey. When you consider the process, it makes even the most expensive types of honey seem like a bargain! 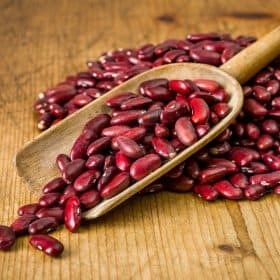 And you’ll be even more amazed when you learn about some of the health benefits of this remarkable – and delicious – substance. As we delve into the positive attributes of honey, please bear in mind that the most beneficial form of honey is raw and unfiltered, and locally produced if possible. Honey that’s been heated will lose much of its healthful components, especially enzymes, and some commercial honeys have sugar or corn syrup added to them. When the “afternoon slump” hits or you’re feeling sluggish in the morning, honey offers an alternative pick-me-up to bone-damaging snacks like candy bars, snack cakes, or sugary coffee drinks. As a high-carbohydrate food, honey is an alkalizing source of quick energy. Try it stirred into a cup of tea, or simply eat a one teaspoonful our of the jar. A word of caution, however – you don’t want to become dependent on honey for your energy, thereby consuming it daily in large spoonfuls. Rather, honey should be consumed in moderation, and used for a boost of energy only occasionally. Healthful as it is, honey does increase blood glucose levels (hence the energy boost), which has a big impact on bone health. 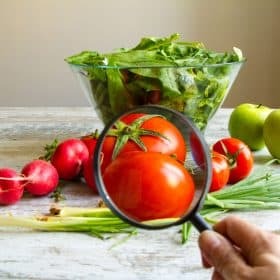 For more on blood glucose and how it affects your bone density, check out one of our articles on this topic: Top 6 Foods That Balance Your Blood Sugar And Protect Your Bones. Sadly, acid reflux is a common problem that is on the rise in industrialized nations. Yet honey may hold promise as a treatment for this uncomfortable condition. We’ve all heard that sugar is bad for our teeth, and for good reason. Refined sugar products are bad for your teeth. But honey’s antibacterial effects make this sweet treat a gum-healthy indulgence. The review includes a chart showing the effectiveness of honey against the following skin-relevant microbes: MRSA, Staphylococcus aureus, Pseudomonas aeruginosa, Escherichi a coli, Candida albicans, and dermatophytes. Honey can even be used to treat dandruff. Study subjects suffering from seborrheic dermatitis and dandruff applied honey diluted with water to their scalps every other day, rubbing the solution in gently for two to three minutes, leaving it on for three hours, and then rinsing with warm water. What a sweet way to overcome dandruff! Memory loss and brain fog can be a frustrating aspect of menopause, and synthetic estrogen and progestin are often prescribed to relieve symptoms. At the Save Institute, however, hormone therapy is not recommended. Rather, we advocate supporting the body through its natural changes, including the normal dwindling of hormones with age. Honey makes excellent “brain food” not only because of its carbohydrate content, but also because it is a rich source of polyphenols, which are powerful antioxidants. Scientists are just beginning to understand the mighty impact of these nutrients, and studies have confirmed that antioxidants are excellent (actually, essential) for bone health and neurological integrity. It’s spring in the Northern Hemisphere, and that’s a time when some people suffer from seasonal allergies. While it is well-known that honey does help to relieve cough, this sweet treat is a bit controversial as an allergy reliever. Studies are inconclusive on this, but many people have found that local honey helps them get through the allergy season without resorting to drugs. The beneficial effects may be in the pollen present in the honey – exposure to small amounts of an allergen have been shown to produce an immunity to that allergen. This is the same principle that allergy shots are based on. Unfortunately, insomnia is an ever-growing plague that is often treated with bone-damaging drugs. Instead, try one teaspoon of honey before bedtime. Additionally, because the glucose to fructose ratio in honey is an average of 1:1, the fructose derivatives in the liver induce the release of glucokinase, which is necessary for the conversion of glucose into glycogen. So instead of storing glucose as fat, the liver stores glycogen that can be utilized during sleep. Honey also contains amino acids that contribute to the manufacture of tryptophan, an amino acid that helps control mood, anxiety, and sleep cycles. Mixing a teaspoon of honey with relaxing herbal tea, such as chamomile or lemongrass, would be particularly effective. Or include a small sprinkle of honey with other sleep-promoting foods, like almonds and bananas. Avoidance of prescription sleep aids is not the only reason to seek out natural, bone-smart methods for getting a good night’s sleep. Scientists at the Medical College of Wisconsin found that lack of sleep can actually lead to osteoporosis.8 Your body needs “down time” in order to build bone, because a great deal of bone repair and remodeling happens while you sleep. It may surprise you to learn that lifestyle factors such as getting adequate sleep, eating specific foods, and fostering a positive attitude can have a big impact on your bone health. Your doctor is not likely to mention any of them, because these “uncommon treatments” are simply unknown (or blatantly ignored) by the Medical Establishment. 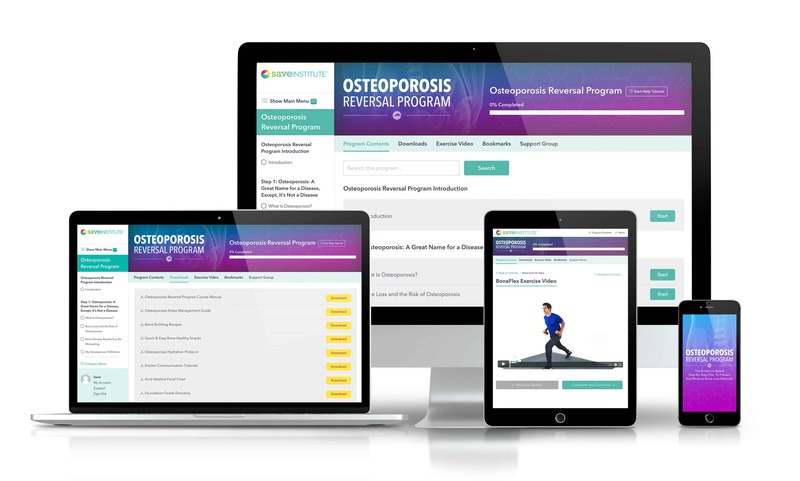 The Osteoporosis Reversal Program reveals and explores the science behind the little-known factors that contribute to osteoporosis and osteopenia, and shows you step by step how to reverse these conditions without drugs that, ultimately, damage your bones even further. The Osteoporosis Reversal Program is exhaustively researched and full of “ah-ha” moments that will leave you incredulous but very optimistic. There’s a better way to rebuild and restore your bones, and your whole body will benefit! 8 C. A. Everson, A. E. Folley, J. M. Toth. “Chronically inadequate sleep results in abnormal bone formation and abnormal bone marrow in rats.” Experimental Biology and Medicine. 237. 9. (2012): 1101. Could you tell me where honey fits on the acidic alkaline scale as many charts seem to say it’s acidic. Also I’m confused about maple syrup, similar story. Thank you Vivian for all that brilliant information that you give us. Much appreciated. God bless. I am ashok from india. In ayurveda heating of honey or to use honey in hot liquids is forbiden. Heaţ turns honey into a poison. Therefore, it should be used only in cold state. In hindu books honey is very much respectful. Therefore, i take it in natural drinkş and alongwith indian flat bread. In my old days it a substitute to modern medicines. Thank you Vivian for all the reasons we should have organic honey. I always had it in my tea instead of sugar. Also of late I have mixed it with tahini which is also very good for your bones and general health. No good buying the honey from the supermarket as it has other undesirable ingredients added to it. There is no substitute for good quality organic honey straight from the bees. Thank you bees for all your hard work so that we can enjoy the benefits of such a glorious substance. Manuka honey is manufactured by bees that have taken nectar from the flowers of the manuka tree, which is native to New Zealand. It is not necessarily “better” than local honey; manuka honey happens to have particularly powerful medicinal properties due to the medicinal nature of the manuka tree itself. It is available online and in health food stores, and you will find it is very expensive. Personally, I keep a jar of raw manuka honey on hand for medicinal applications and a jar of raw, local honey for more frequent use. The color of the honey has more to do with the flowers the bees visited than with health benefits. Vivian, I read once that putting honey in hot tea can diminish it’s healing properties. 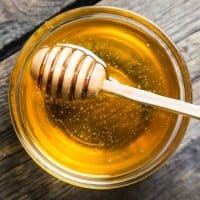 Is it true that heat can affect honey? Thanks for all the great info. I bought your program years ago and learned so much from it. I still adopt many of the practices in my daily life. The biggest winner for me was distilled water. No fluoride or chlorine for me!!!!!! Thanks again. Yes, heat can negatively affect honey – that’s why raw honey is more healthful. 🙂 Stir your honey into warm, not hot tea for the most benefit. And great news on the water! I have a hiatal hernia and suffered from acid reflux for many years. I was taking Zantac to control the reflux until the day when I was told by my chiropractor that his 95 year old grandmother was taking honey for acid reflux relief. I decided to start taking a tsp. of Manuka honey in the morning and just before bedtime. It has helped me immensely – the Zantac was ihrown in the garbage!! Very interested in the Manuka honey. Where do you get this and what kind? I’ve read that it should have a UMF rating number…the higher the better. Organic manuka honey is at Costco!! Saw it there in March 2018!! I’m proud of you Bea. You took control of your health, and succeeded with an all natural solution! 1- That it is a kind of distinguished teaching (instilled in the bees’ instinct, obviously) how they should go about producing honey. 2- The sequence – mountains, then trees, then peoples’ beehives, tells us that the best honey is that obtained from what bees build in mountains (now very rare, like in Yemen in south Arabia, therefore very expensive) which is – I think – because it is high, away from pollution and man’s damaging interference, followed by what bees build on trees, pollution more possible but still better than the last type, which is what people build with nowadays all the pollution, in addition to not feeding on flowers but on sugar (for most of what is being produced, I think). 4- This is indeed something to contemplate, in both: God’s creation and honey as a healer. I hope that my comment encourages readers on honey.